Hello! This is continuing my Bamfield story analysis. Check out this post for more information. 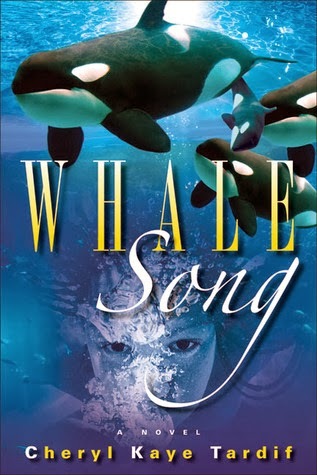 I enjoyed this excerpt from Cheryl Kaye Tardif's full novel, Whale Song. My first assumptions about what might happen in the following chapters is that the sister and Sarah will become friends, and swim to the island on a search for the lost brother. There was a lot of emphasis on not swimming to the island, so it seems as if that would happen. I also think the theory someone brought up that the brother has somehow been transformed into a whale is very interesting. I actually liked the protagonist. Sarah, though eleven, was funny and curious and kind of reminded me of myself at that age. I did think her to be immature or naive at times, but that is natural coming from an older person reading the writings of an eleven-year-old brain. I also liked the way the author wrote her voice-- she had a distinctive style that was shown throughout her comments and the way she looked back on the past situations. It was very challenging to see a theme emerging in the short section we read. Because of this, I just took several guesses at what it might be hinting at in those first chapters. What I understood was that change can be good-- she loves her new house and home on Vancouver Island. However, there is definitely going to be some background and story behind the sister and the brother who supposedly drowned, so I feel like the theme will eventually tie into that aspect more. I was able to make many personal connections to the story, having been in Bamfield at the time. When I read this was where the main character, Sarah, was moving to, I was pretty surprised. Bamfield is a very small town, so it was exciting to see it as a setting in a book. I also understood what she meant when said the ferry ride didn't look like the ocean, and she was excited to see the 'real' ocean. This is somewhat how I felt when I arrived, and saw the beautiful waters, but then really saw it as the ocean once we went out on the boat to open sea. Finally, one thought I had about this excerpt was that it reminds me of my own writing when I was younger. The way the descriptions were written and the characters almost felt like déjà vu. I feel like my writing is more mature now, but it still gave me that feeling.